In the recorded history, throughout every single major civilization be it Chinese, French, Egyptian, Babylonian, British or Japanese, through massive wars and times of peace, landscape design has been considered an important element of life. To create a garden, plan a landscape, is to search for a better world. In the effort to improve upon nature people are guided by a vision of Eden – their own Shangrila. Whether the result is a horticultural paradise or a modest enclosure of shrubbery and ground cover, much is owed to the thought and preparation of the landscape architect. It takes a designing mind to plan the structure and contents of both these types of landscapes so that they may reach their full potential. 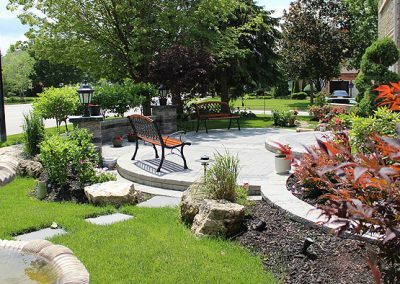 Nature of our Business: Winsome Landscape Design Group (WLDG) perceives the reconstruction, preservation and transformation of nature as its business. 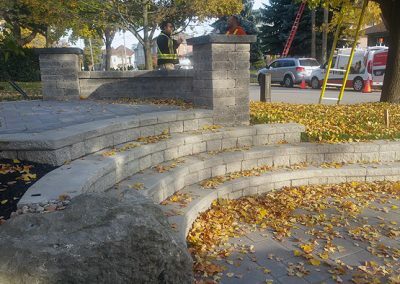 The company offers a wide variety of services in both landscape design and the built environment. It specializes in both residential and commercial design and implementation. In this manner it provides a full range of services that can and does extend beyond the bare essentials into the more elaborate work frequently required in achieving a specific look or in fulfilling a client’s need. Detached homes whether urban or suburban have their own requirements to make them blend in with the community or to stand out as being truly unique. We do both. In accomplishing this it has been necessary to become familiar with and an expert in all aspects of the design and implementation process. 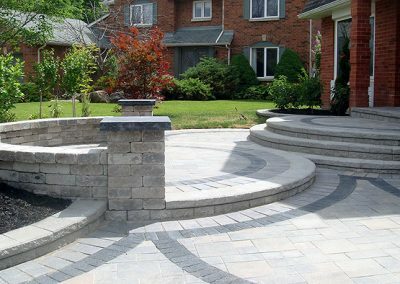 Driveways can be paved but we provide the skills necessary to lay down interlocking stone, flag stone or colorful alternatives. We understand gardens. We also understand that every gardener has a different dream for their space. 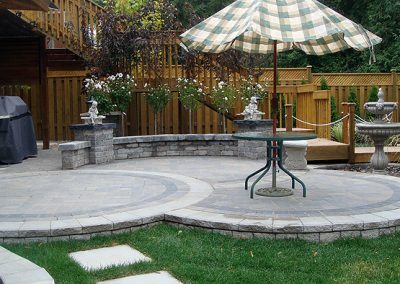 Whether you are looking for help to create a healthy flower garden, or interested in putting down flagstone for a more manageable space, we can help. 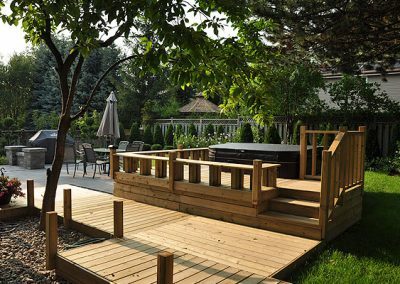 Our team has a passion for the artistic potential of every green space and practical scientific knowledge that allows us make your dream come true. 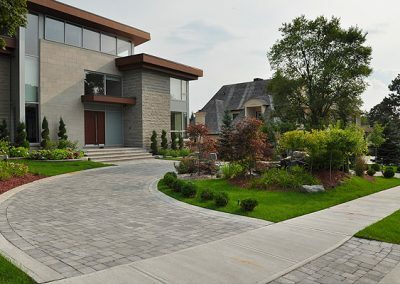 In the growing demand of residential landscaping, people seem to give more preferences to flagstone walkways and driveways, they are natural stones, which are thin and flat and come in many sizes, shapes and colors. 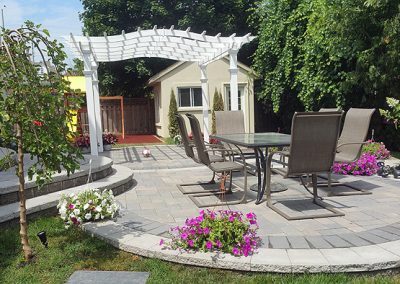 Landscaping is an art that takes creativity to produce beautiful results. 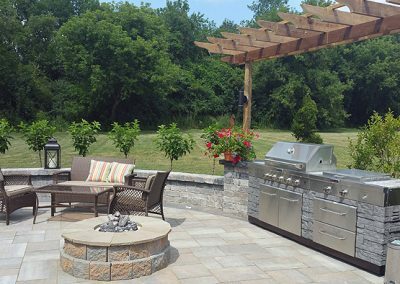 There are only a few exceptions to fully realizing your imagined dream landscape provides aesthetic beauty to surroundings and value to your home. 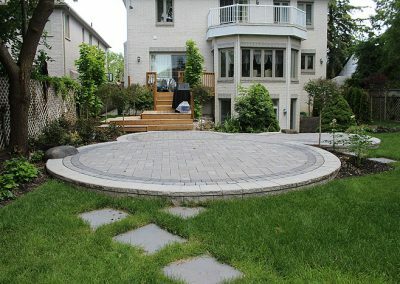 Interlocking stone is an excellent alternative to concrete patios, driveways and walkways. On top of its long term value, also adds more style which increases it’s overall value. Consider using them for upcoming projects. The brightest, healthiest gardens are crucial to making a home look truly wonderful. 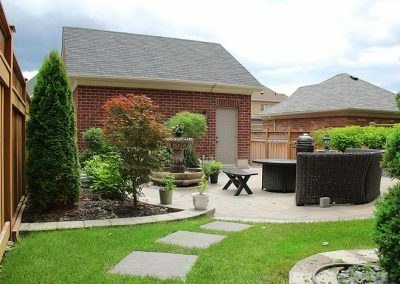 Improve your garden and see the difference! 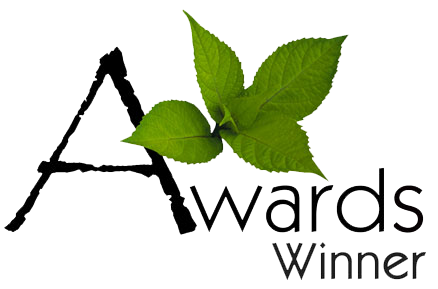 We know what makes a healthy garden and ideas on how to put together the garden of dreams. A picture says a thousand words. Don’t just take our word for it. Browse our portfolio and see for yourself. You’ll be impressed. 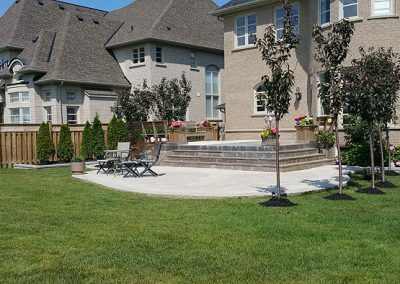 Contact us today and we will help you with individual design ideas, materials and anything else needed, to get your landscaping project started. 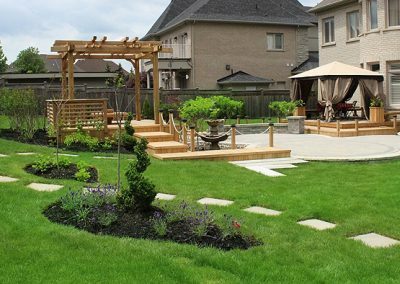 Our professional and qualified landscape designer will thoroughly analyze your property and suggest all possible landscaping ideas. We will provide a list of all options available, according to your taste and needs. Contact us by phone, e-mail, or send us a message using the contact form.